Opinions may differ, but one thing is undeniable about CBD oil, the incredible healing power it has demonstrated with many people. Those suffering from chronic pain from maladies like fibromyalgia are finding relief with CBD oil. Taking CBD oil can offer pain relief and can even prevent nervous system degeneration. In fact, it has been approved in Canada for multiple sclerosis and cancer pain. What’s really amazing is that CBD oil doesn’t cause dependence or tolerance, so it’s a great choice for those trying to stay away from opioids. CBD oil has been shown to reduce levels of stress and anxiety in those suffering from PTSD, social anxiety disorder, and obsessive compulsive disorder. CBD oil was even found to reduce the stress and discomfort involved with public speaking! (Note) Depression is often linked to those who are deficient in vitamin B12. Add the Raw Mega Nutritional System to increase levels of B12 and all of your B vitamins. Chronic inflammation is rampant in our society. It contributes tremendously to diseases such as heart disease, cancer, Alzheimer’s, high blood pressure, and autoimmune disease. It is primarily caused by a poor diet lacking fresh fruits and vegetables, not getting enough sleep, and lack of exercise. Recent research agrees that poor gut health plays a big role in chronic inflammation. Add the Total Digestion Probiotic to balance your microbiome, so as to correct the imbalance of bad bacteria to good bacteria. CBD oil can help maintain healthy blood sugar, stimulate genes and proteins that help to break down fat, and increase metabolism. CBD oil encourages the body to convert white fat in to brown fat. Brown fat is fat that is in small deposits that behaves differently than white fat. Brown fat is said to improve health by enhancing the body’s ability to burn white fat, create heat, and even regulate blood sugar. Only the highest grades of agricultural hemp are used in the production of our product. It is non-psychotic and has a tremendous safety profile. We utilize the whole plant for the most efficacy. Since its discovery in 1992, researchers have been investigating the existence of a central regulatory system called the Endocannabinoid System (ECS). The ECS is made of cannabinoid receptors, endogenous (self made) cannabis-like compounds and enzymes that create and inactivate them. The ECS is one of the most important physiologic systems involved in establishing and maintaining human health. Endocannabinoids and their receptors are found throughout the body. In each tissue, cannabinoids perform different tasks, but the goal is always the same: homeostasis, or maintaining a stable internal environment despite fluctuations in the external environment. 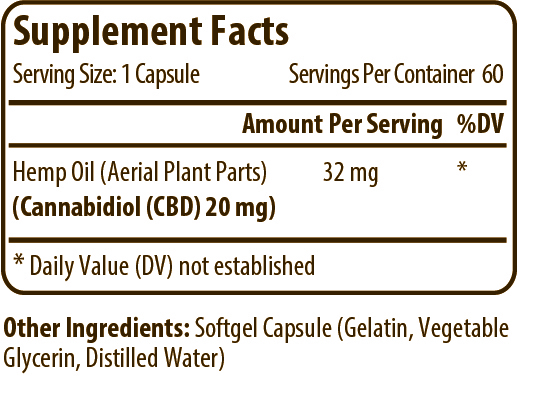 So why is CBD oil important to the ECS? CBD oil is important to the ECS because CBD oil modulates endocannabinoid tone and may help keep healthy people healthy. Sometimes called the “whole plant” or “entourage effect”, cannabis offers a complex biochemical matrix of many of the constituents in cannabis working synergistically. It also leaves behind other compounds that are only available when we eat the entire plant. 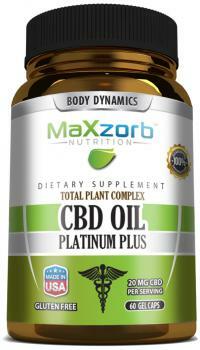 Phytocannabinoids, Fatty Acids, Terpenes, Plant Sterols, Chlorophyll and Vitamin E.